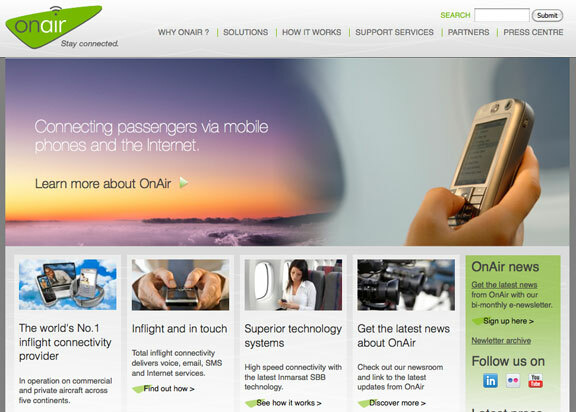 ....surf, share, email, or tweet their way across the Emirates network as the airline launches WiFi internet connectivity with leading industry service provider, OnAir. Customers can access the service of the WiFi in the sky onboard their flight using their WiFi enabled devices including smartphones, tablets and laptops. All customers have to do is open up their device’s wireless connections, log on to the OnAir network and follow the simple steps to access the internet. As part of a proving phase, customers onboard many A380 flights have been using the service for many months already as the system was installed and activated on the first few A380s last year. WiFi services will initially launch on 11 of Emirates 19 Emirates A380s currently in-service, with the system due to be installed both now and in the future across the entire fleet of 71 Emirates A380s on order. In addition to WiFi, from mid-2012 all new Emirates A380s will be delivered with a full range of WiFi, mobile phone and mobile data services.